Having a Grenadines vacation means visiting some absolutely beautiful small Caribbean vacation spot with all the different forms of a vacation in seclusion awaiting visitors. Think of regattas, boat racing, private islands, small luxury resorts, island hopping, unspoiled environment, and unique tropical adventures. Looking for a private tropical small island to roam, relax in hammocks, go on romantic boat cruises, romantic dinners on the beach, exciting games of tennis and golf, and experience one of the best marine attractions in the Caribbean to snorkel and scuba dive. A Grenadines island vacation is the spot for small groups and couples enjoy. What make is more interesting is that all of the islands that surrounds the Grenadines allow visitors to island hop to the Grenadines. These include Barbados, St. Vincent, Grenada and St. Lucia. It is well understood that there are hardly any Caribbean vacation island that have comparable beauty to those you will experience in the Grenadines. They are absolutely great small private vacation islands for you to visit and with perfect weather all through the year. Three of the main private islands in the Grenadines for vacation include Palm Island, Petit St. Vincent, and Mustique. The Grenadines islands are loved by many for the private unspoiled beauty. An interesting feature of the islands of the Grenadines is their names. Three of the main islands Bequia, Canauon and Union Island all have airport which makes travel to the Grenadines hassle free. These airports have connection to international airports in Barbados, St. Lucia and Grenada along with St. Vincent. Additionally, there is a reliable Grenadines ferry service operating between St. Vincent and all the islands daily. The main currency used in the Grenadines is the Eastern Caribbean Currency (EC). However, many of the top currencies are generally accepted including the United States, British and Euro. It is also a good idea to travel with a bit of cash to these islands to prevent different inconveniences. Canouan is 25 miles south of the main land St. Vincent and the name means “Island of Turtles.” This small Grenadines vacation island main attractions includes hiking, snorkeling, and a world class golf coast. The island can be accessed easily though its airport. One of the highlights of Canouan is the Raffles Resort which has the largest hotel pool in the Caribbean. Top beaches in Canouan include Carenage Bay Beach, Windward Bay Beach, Friendship Bay Beach and South Glossy Beach. The Raffles Resort Canouan offers one of the best Grenadines vacation experience. The resort has one of the largest swimming pools in the the Caribbean and a lovely golf course. Also, the resort offers a lovely luxury Grenadines weddings. Moreover, the hotel offer excellent service of children as well as massage and fitness facilities. There is an airport in Canouan where you can get access to this destination from airports in Puerto Rico, Barbados and St. Vincent. Additionally, there is the Tamarind Beach Hotel and Yacht Club which is another excellent Canouan vacation resort. Tamarind Beach Hotel and Yacht Club offers excursion to the Tobago Cays Marine Park along with some excellent watersports activities. Palm Island Resort is another top private vacation island in the Grenadines. This is a destination that must be visited. It has an amazing reputation for offering luxury all inclusive Grenadines vacation resort. The island offers visitors an amazing tranquil and peaceful atmosphere. It is one of the Grenadines vacation spot for romantic, wedding and honeymoon luxury vacation resort. The main resort Palm Island Resort will provide you with a tropical vacation experience second to none in the Caribbean. This island provides one of the best Grenadines vacations you will ever experience. This destination can be reached by boat from St. Vincent, Canouan and Union Island which all have airport access from international destinations. Some of the many activities you can engage in includes golf, scuba diving, windsurfing, fishing, tennis and other water sports activities. The resort is also equipped with a lovely fitness facility and a spa and wellness center. Additionally, there is a provision in place to take care of children with its child care service along with internet services. Petit St Vincent Resort is one of the private vacation island in the Grenadines. It is located 40 miles south of St. Vincent and is an excellent water sport destination water sports destination. Visitors enjoy snorkeling, swimming, windsurfing, sailing, and diving. This is an excellent destination for couples and families who want to have a private tropical Caribbean vacation spot to experience. 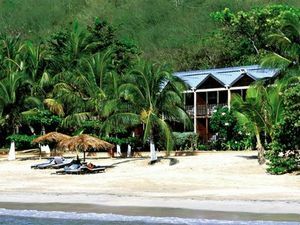 The island offers 22 of the finest cottages for your Grenadines vacations with any unique flag communication system. There is no internet access at your cottage, therefore, you will get the advantage of really enjoying nature. Petit St. Vincent can be easily reach from neighbouring Union island which has an airport and by boat from the other Grenadines resorts destination. Petit St. Vincent Resort offers activities such as golf, windsurfing, tennis, fishing, kayaking, and scuba diving to name a few. There is a lovely massage with spa and wellness facility. Addtionally, there are child care services and internet at strategic locations on the island. Musitque is one of the top private Grenadines island luxury resort. It is a tropical islands spot is well known for it’s the rich and famous type of visitors. This island is the definition of paradise with natural beauty and elegant accommodation combined. Some of the main Grenadines beaches situated in Musitque are Marcaroni which is the most popular while there are others like Gallicaux Bay, Lagoon Bay and Endeavour Bay which are also excellent beaches as well. One of the two Grenadines vacations spot is found on the island namely Cotton House Mustique. There is an airport in Mustique for you can get access from Barbados and St. Vincent airports. Some of the many lovely activities that The Cotton House Mustique offers includes horseback riding, tennis, golf, windsurfing, boating, fishing, hiking and boating to name a few. There is also a love private beach that is a perfect place to relax as well. The resort also offers great child care service, excellent for any form of ceremonies and well equipped with a spa and wellness center. This is one of the private islands that you will have access to internet services. Bequia is the some northerly in the Grenadines vacations chain. Bequia means “islands of cloud” a name derived from its Indigenous Arawak ancestors. It is 10 miles south of St. Vincent. A visit to the lovely Bequia can be done though a connecting flight from the Grantley Adams International airport in Barbados which only take 55 minutes. There are also ferry services operating between St. Vincent and Bequia which is an excellent adventure for visitors wanting to experience the sea. Bequia is a yachtsman of adventures. One of the major activities that Bequia is known for is its East Regatta in Easter. This is a fun fill series of boat races, fishing and entertainment. Two Grenadines beaches located in Bequia are the Lower Bay Beach and Princess Margaret Beach. The islands offer some of the Grenadines most lovely wedding and honeymoon packages. To get married in Bequia or one of the other islands you will have to be in the island for more that three days. One of the top Grenadines resorts found on the island is Bequia Beachfront Villas. This location is a great place to bring exploring the tropical vacation spots in the Grenadines. Mayreau is the smallest inhabited island in the Grenadines with a population of about 200. It is seven miles south of Canouan and can only be accessed though boats. Mayreau is an excellent place for a day cruise with it lovely peaceful beaches. Also, it’s a great for hiking or you can walk from one side of the island to the other while enjoying its nature beauty. Additionally, Mayreau is known of its lovely craft and is an excellent place to buy souvenirs. The Tobago Cays marine park referred to as the “Horseshoe Reef” is one of the major attractions in the Grenadines. It is a cluster of four inhabited some islands with amazing marine life. These islands are only accessible by yacht and places for snorkeling and beach adventures. The different destination host some of best the Grenadines yacht sailing regattas with competition in all aspects for sailing. There are many yacht racing competition, fishing competition along with great cultural activities to enjoy. Furthermore, all of the Grenadines resorts offering exciting wedding packages. One requirement though is you may have to spend three days in the island prior to your married. An interesting wedding feature of the islands though, are the various wedding settings visitors can choose. Couples can have their weddings in a beautiful tropical flower garden, on a hilltop at sunset, on a white sandy beach, in can church or on a beautiful yacht setting. this destination.